During her courtesy call to present the Letter of Credence to the Royal Government of Cambodia as the seventh Representative of the United Nations Population Fund to Cambodia, Ms Lene Kroell Christiansen congratulated the country in achieving many of the Millennium Development Goals, particularly goal 5 on improving maternal health. “I am so glad to see Cambodia has made great progress in a reduction of maternal mortality and increasing the number of deliveries with skilled birth attendance,” emphasized Ms Christiansen in her meeting with His Excellency Prak Sokhonn, Senior Minister and Minister for Foreign Affairs on 9 February 2017. Ms Christiansen also underlined the mandate of UNFPA and informed the Senior Minister that the organisation is guided by the 1994 Programme of Action of the International Conference on Population and Development and the Sustainable Development Goals, UNFPA promotes universal access to sexual reproductive health and rights including family planning; empowering women’s and young persons’ rights; gender equality; and addressing population dynamics. 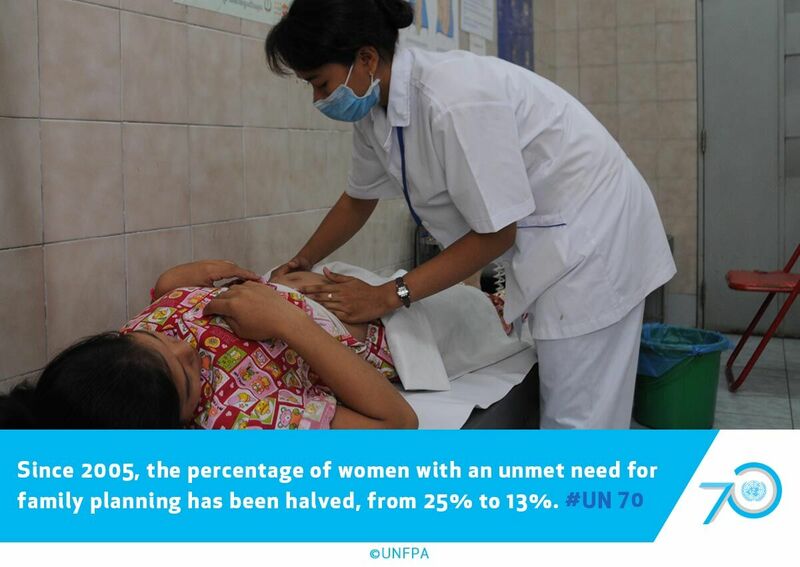 Since it started work in Cambodia in 1993, UNFPA has helped to reduce maternal deaths and to increase the usage of contraceptives. Ms Christiansen commended with appreciation the Government’s increased ownership in its programme, as evidenced in setting the first national budget for reproductive health commodities. “I am impressed and highly appreciate that there is now a national budget allocated for the contraceptive procurement,” said Ms Christiansen. HE Prak Sokhonn expressed his compliments to the assistance given by UNFPA in ensuring that pregnant women have access to safe services and young people realize their potential and sexual reproductive rights. On a separate note, regarding the Cambodia’s 2019 population and housing census, the UNFPA Representative highlighted the challenge of meeting the funding gap for supporting the census and took the opportunity to urge the government to consider the possibility of increasing its funding commitment in view of Cambodia's graduation to lower-middle-income status. As the meeting concluded Ms Christiansen reaffirmed her attention to build on the achievements to further improve the lives of the people of Cambodia.